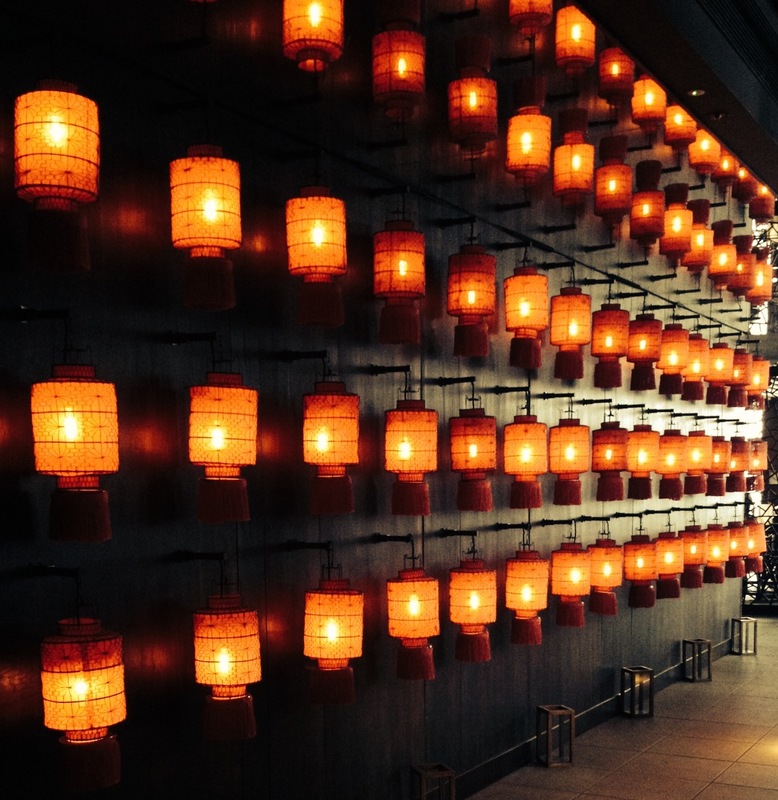 The first thing everyone mentions about Hutong, the Chinese restaurant in The Shard, is not the view (very good) or the service (very jolly) or the red-lantern and dark wood décor (very sleek) but the prices (very high). They are as incredible as Renzo Piano’s you’ll-have-someone’s-eye-out-with-that skyscraper – like the building itself, they just keep on climbing, until you are hovering around £60 for a Peking duck. But everything in The Shard is expensive – when the Shangri-la Hotel opens in May, rooms will start at £350 a night. To visit the viewing platform unannounced you’ll be mugged for £29.95pp (you can knock a fiver off for pre-booking). So when my kids said they’d like to go up The Shard for their half-term treat I knew I was going to drop at least a hundred quid for the four of us for the outing, before food and drink. (To be fair, there was a very useful kids-go-free special h/t offer for the viewing gallery, but both ours being over 16, we were looking at full price). Oddly, though, Hutong came to the rescue. 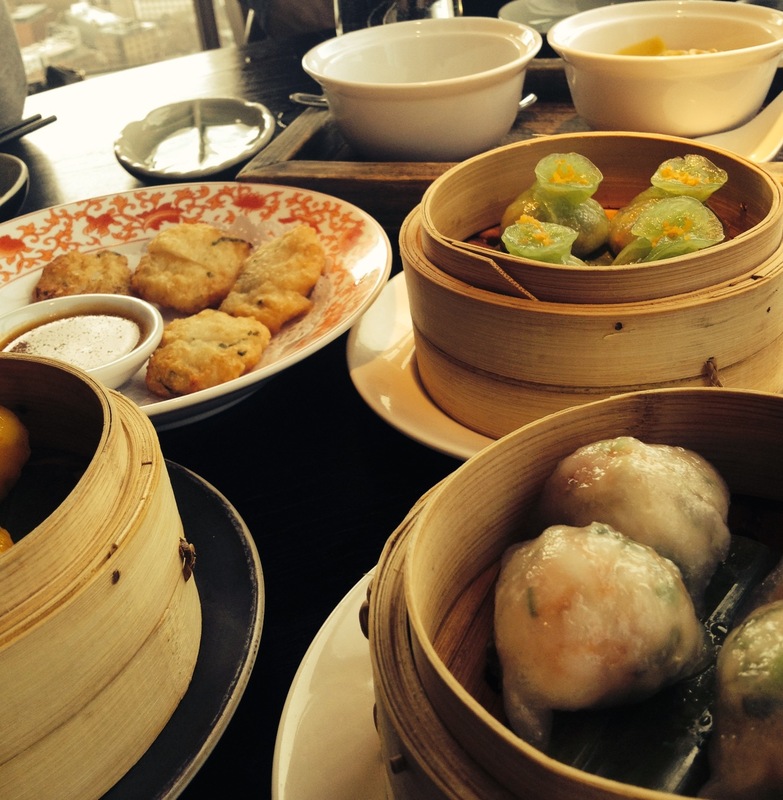 It had just launched a set lunchtime menu of dim sum, any five dishes (e.g. poached wontons with chilli-garlic sauce, ginger and spring onion lobster buns, baked Wagyu beef puffs) for £28pp. OK, so that’s really no bargain by Chinatown standards, but at The Shard it’s a steal (and certainly comparable to Yauatcha in Soho). And you do get four pieces of each one, they are freshly made every morning and they are pretty damn’ fine. Now, I hear you say, four times £28 comes to… but you don’t need one set lunch each. We did two of them (£56) and half a Peking duck (£30), which is flashily carved at your tableside, and left replete after two hours for £86 (plus drinks and 12.5% service). Still expensive, but I haven’t even factored in the view yet. Hutong is on the 33rd floor, so only about half way up the this anorexic glass pyramid, but even so it’s worth trying to bag a window seat for the always-mesmerising London birds’-eye view (I particularly like looking down on HMS Belfast for some reason, although we were seated on a different side). And if you don’t get a window, there is always the lavatory, from where you can gaze along the river to Tower Bridge and across South London to Kent. In the men’s, the urinals are positioned in front of plate glass windows, so that you stare down on what looks like a vast Hornby construction, with trains snaking in and out of London Bridge Station, feeling like The Fat Controller. Or perhaps Bob Crow. This is the view from the table, looking over Borough Market and Tate Modern. Thanks to Gina Ryan for the pics. 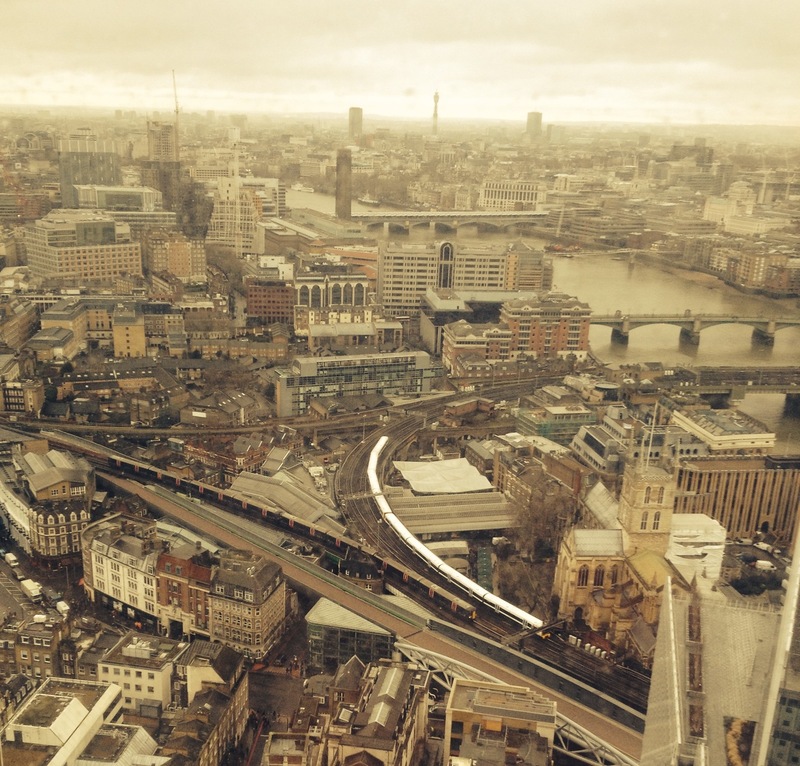 This entry was posted in Food, Travel and tagged food, London, The Shard on February 23, 2014 by Robert Ryan.